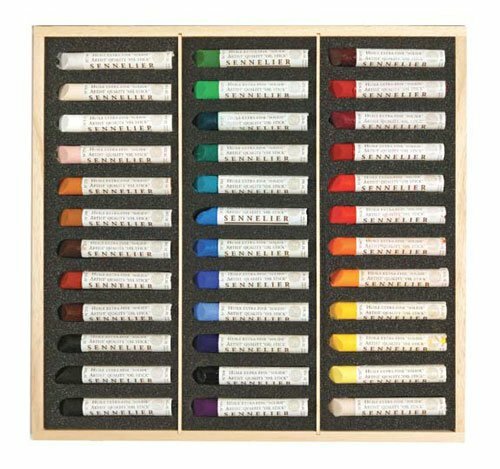 This set of oils sticks by Sennelier features 36 rich and luminous colors that come in a beautiful wooden box. Made from pure pigment, the finest safflower oil and high quality mineral wax, Sennelier oil sticks can be applied directly to the painting surface. Use to sketch, complete works of art and more. Can be applied using both traditional and contemporary techniques. Dry just like oil paint with a resilient film and can be diluted with turpentine. This set is the perfect introduction to painting with oil sticks. Made in France.